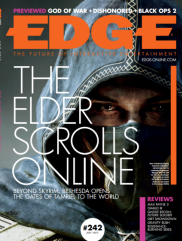 Another of my articles on the psychology of video games has been published in Edge Magazine, Issue #232 July 2012. This time I wrote about the nostalgia we feel for good old games and how game developers and marketers capitalize on nostalgia to sell us reboots, sequels, and retro games. I have written about nostalgia before, but as is typical with the Edge articles I did a lot more research this time and investigated some additional ground. Nostalgia and social connections go hand in hand, then. Thinking about the loss of social connections, as nostalgia often makes us do, primes us to think about repairing those connections, maintaining current ones, or establishing replacements. Wildschut and his colleagues also found that when asked to describe nostalgic memories, most people recalled social contexts and good relationships with others. And research on the power of music has found that song lyrics emphasizing social relationships, including friendship, love, and familial bonds, were the most likely to induce nostalgia in subjects. …You may reminisce about playing the original StarCraft, but the chances are you’re most nostalgic thinking about throwing down with friends in multiplayer or at least bonding with them over the shared experience of discussing how you managed the campaign. For gamers, our most nostalgic memories probably revolve around sharing the hobby with others, making new friends, and enjoying a good couch co-op experience. So, if any of that sounds interesting to you, check out the issue on either the news stand or via the digital edition. I’ll also note that I particularly loved the graphics accompanying this article. They took portraits of a bunch of people wearing tee shirts featuring logos from old gaming properties. There’s everything there from Crazy Taxi to Doom to Space Invaders. Just looking over those pictures made me nostalgic. Yes, I am nostalgic for Diablo 2 – because Diablo 3 is such a turd it makes me long for those days where games were built for the gamers as opposed to bringing in capital via auction houses.